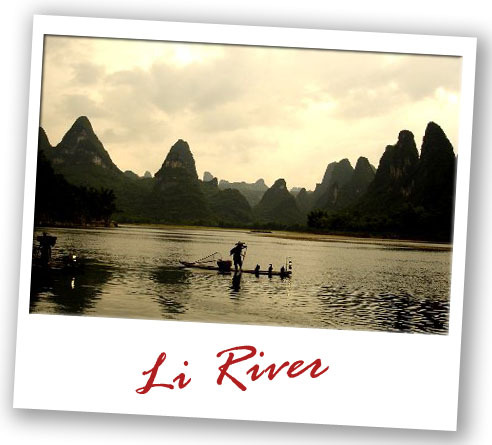 The Li River boasts most beautiful scenery and attracts thousands of visitors each year. The river cruise from Guilin to Yangshuo takes about 5 hrs. Cruising down the crystal clear river, you will see some extraordinary peaks, sprays of bamboo lining the riverbanks, fishers in small boats and picturesque villages. On our tours, lunch will be served on board the cruise boat. There are other boat cruises that cater for the domestic market that are cheaper. However, we do not recommend them. Yes, you travel to experience different cultures, but it could get annoying if you can't enjoy this beautiful scenery in peace and tranquility. Boats catering for the domestic market can be quite old and rattling with noisy tourist onboard.